Rigoberto Uran has become the first Colombian to wear the maglia rosa after winning the stage 12 time trial at the Giro d’Italia today. Uran tore the pink jersey off the shoulders of Australian Cadel Evans, whom many thought would gain precious time on his general classification rivals, ahead of the high mountain stages, but did not. 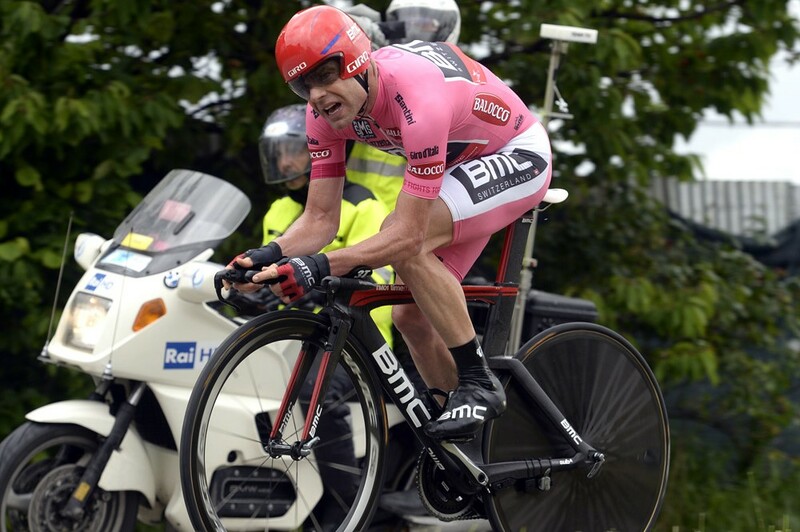 Evans (BMC) made up time in the final kilometres but more than once overshot corners on the slippery course. The 27-year-old Uran in his first ever individual time trial victory eclipsed the 41.9km hilly route in 57 minutes and 37 seconds with Diego Ulissi (Lampre-Merida) finishing one minute and 17 seconds adrift in second and Evans one minute and 34 seconds in arrears for third. Uran transferred from Sky to trade team time trial world champions Omega Pharma-Quick Step at the end of last year and the move has evidently suited him. He’s jumped from second overall to top spot on the overall standings and has a 37 second advantage over Evans and a one minute and 52 second margin to third place Rafal Majka (Tinkoff-Saxo). Ivan Basso (Cannondale) had a day to forget crashing on the course and undergoing a bike change. Giant-Shimano is yet to issue an update on its Swedish rider Tobias Ludvigsson who crashed over a barrier and landed in a ditch en route.